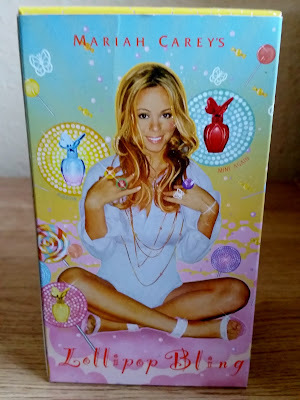 Reading my review of Mariah Carey's Forever scent your know how much i liked and enjoyed that scent. 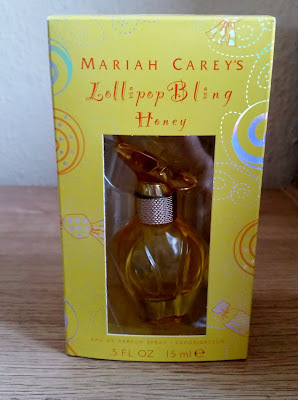 This lead me onto her other scents and i came across the Lollipop Bling line. I chose Honey, as the bottle looked appealing being a yellow to gold tone and in keeping with the name. Lollipop Bling Honey was launched in 2010. Amalfi Lemon, Passion Fruit, Pineapple. White Honey, Lime (linden) Blossom, Musk. Sweet, Fruity, Tropical, Floral, Honey. The window box packaging gives u an insight in what the bottle is like before you buy. Mariah Carey is featured on the back of the box with her other scents. Honey's bottle is a classic mariah design and exactly the same from any other bottle from the lollipop bling line. The classic butterfly head spray stopper always is a nice feature. The scent itself is described as a floral fruity fragrance. On first spray the amazing sweetness transports you to any tropical island you wish to go. Pineapple galore and Passion fruit at its best. Ginger, Freesia and lily complimenting the top notes so there not out of control otherwise your be smelling like a fruity, candy sweet shop. This isn't meant to be a honey bomb scent ! 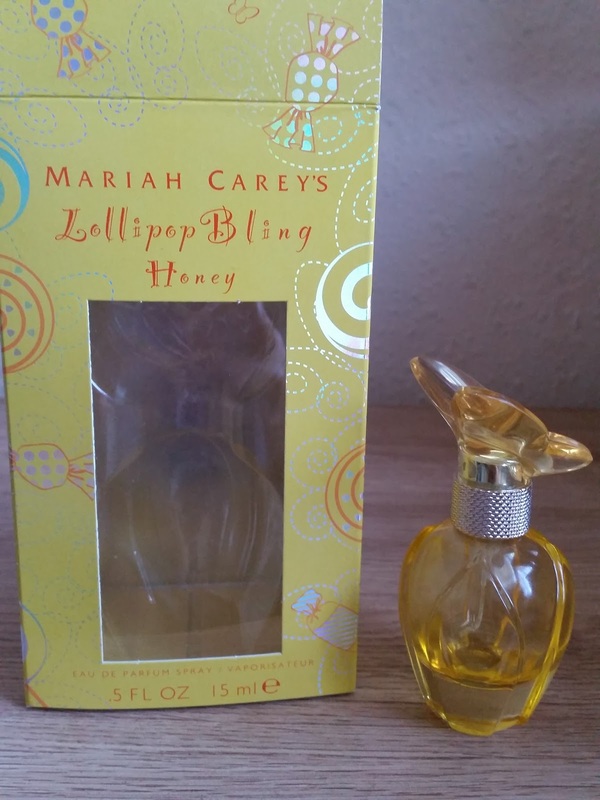 The scent is inspired by mariah's honey song and video. 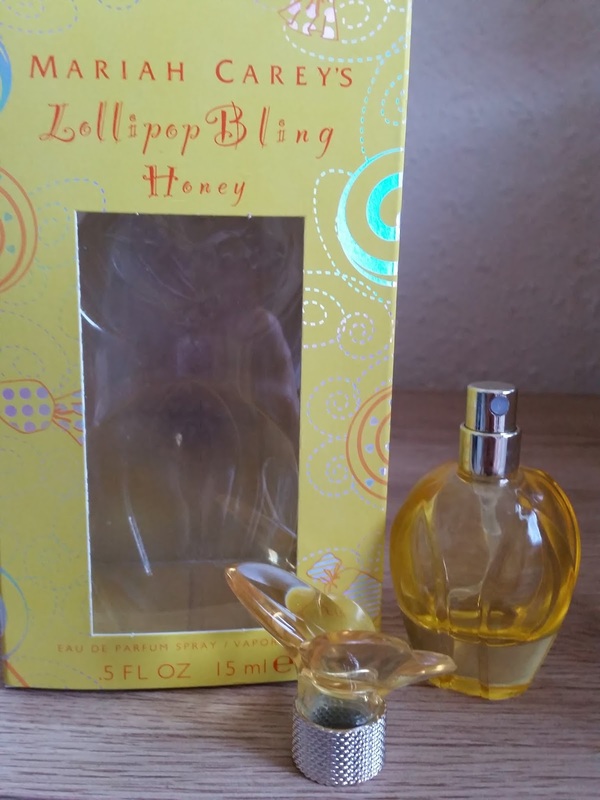 So if you are buying this because u think your going to smell of honey you wont. On dry down this is a tropical musky scent and the note Lime ( linden) Blossom listed with this fragrance, the bee's love its flowers! This lasts about 6 hours but that can be an excuse to get this summery scent out and experience this divine scent again!